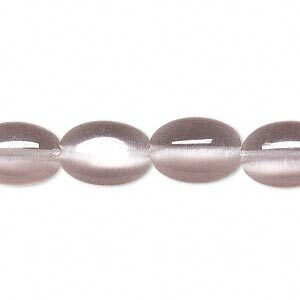 Bead, cat's eye glass, lavender, 14x10mm flat oval. Sold per 15" to 16" strand. 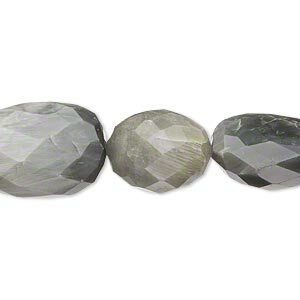 Use these cat's eye flat ovals to add drama and romance to contemporary styles. 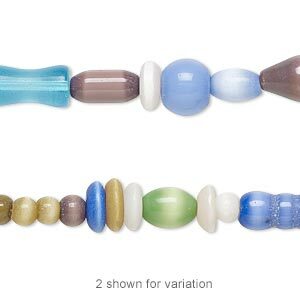 Bead, cat's eye glass, multicolored, 5-6mm round. Sold per 15-inch strand. Bead, lampworked and cat's eye glass, multicolored, 3mm-26x6mm multi-shape. Sold per 15-inch strand. 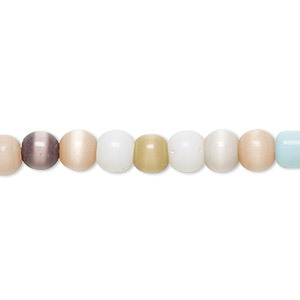 Bead, cat's eye glass, multicolored, 3-5mm round. Sold per 15-inch strand. 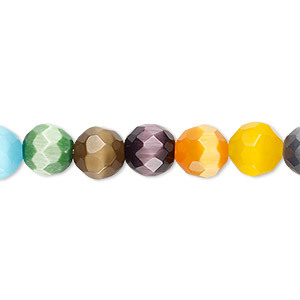 Bead mix, cat's eye glass, multicolored, 10mm faceted round. Sold per 15-1/2" to 16" strand. 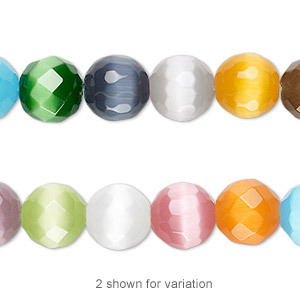 Bead mix, cat's eye glass, multicolored, 4mm faceted round with 0.7mm hole. Sold per 15-1/2" to 16" strand. 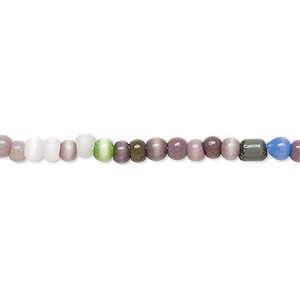 Bead mix, cat's eye glass, multicolored, 6mm faceted round. Sold per 15-1/2" to 16" strand. 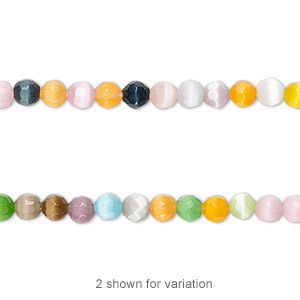 Bead mix, cat's eye glass, multicolored, 8mm faceted round. Sold per 15-1/2" to 16" strand. 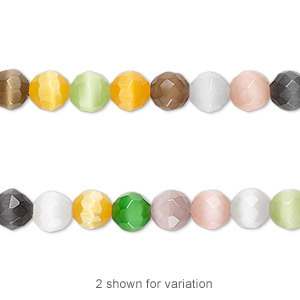 Bead, cat's eye quartz (natural), medium top-drilled chip, Mohs hardness 7. Sold per 16-inch strand. 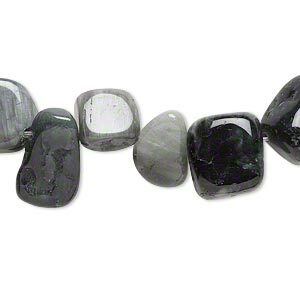 Bead, cat's eye quartz (natural), medium to large hand-cut faceted nugget, Mohs hardness 7. Sold per 14-inch strand.